Well I never, I’ve only gone and finished a project! 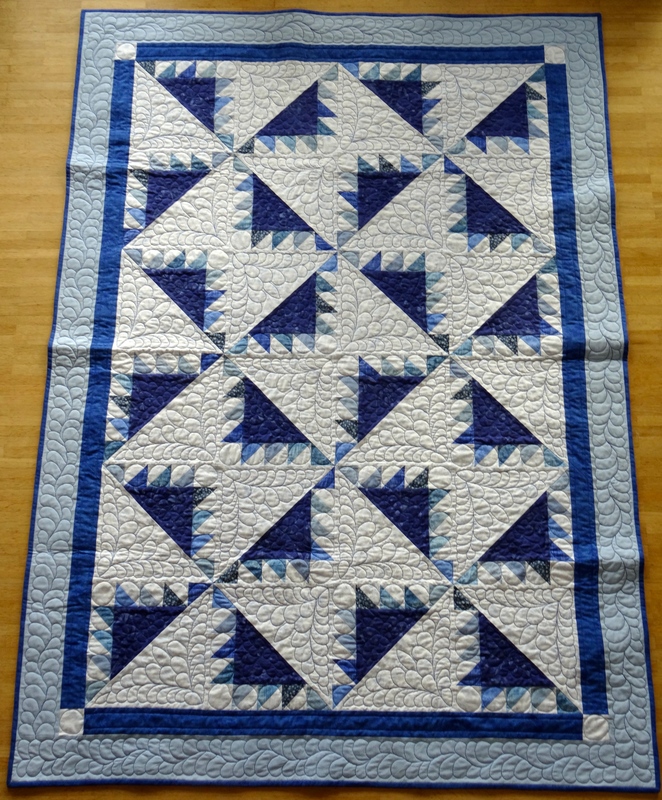 My Alaska lap quilt is now sewn together, quilted and bound, and ready for use, just in time for the cooler autumn and winter months. I know, it’s hard to believe, isn’t it? 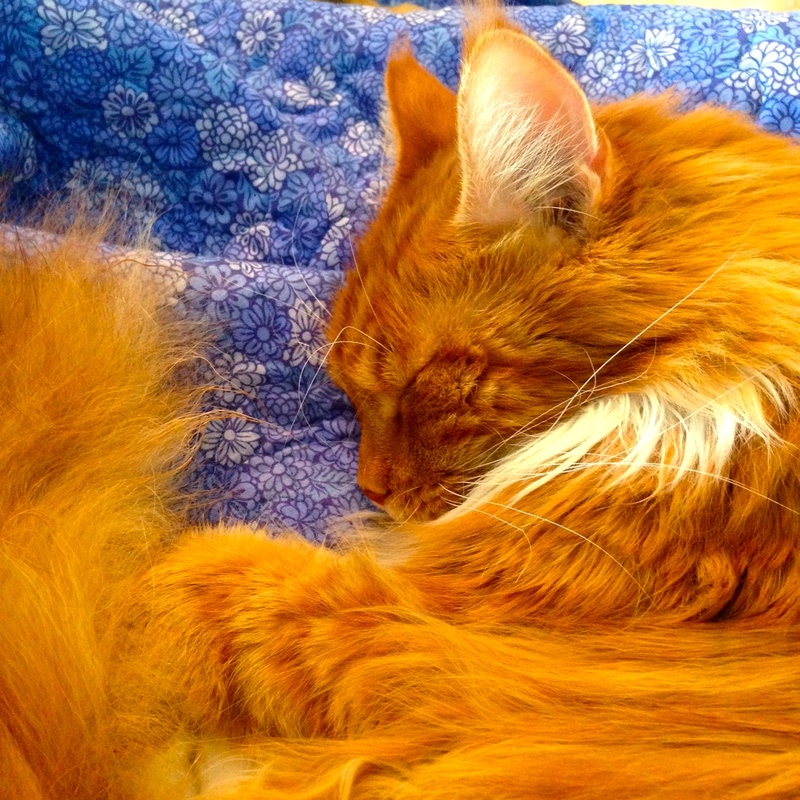 Especially when you consider that I actually started this particular quilt quite early on in my sewing life. It dates back to 2009, when I was living in the US, and I signed up for a Mystery Quilt class, billed as a “Mystery Tour to Alaska”. There were 2 different colour ways on offer, and I choose this palette of icy, watery blues. 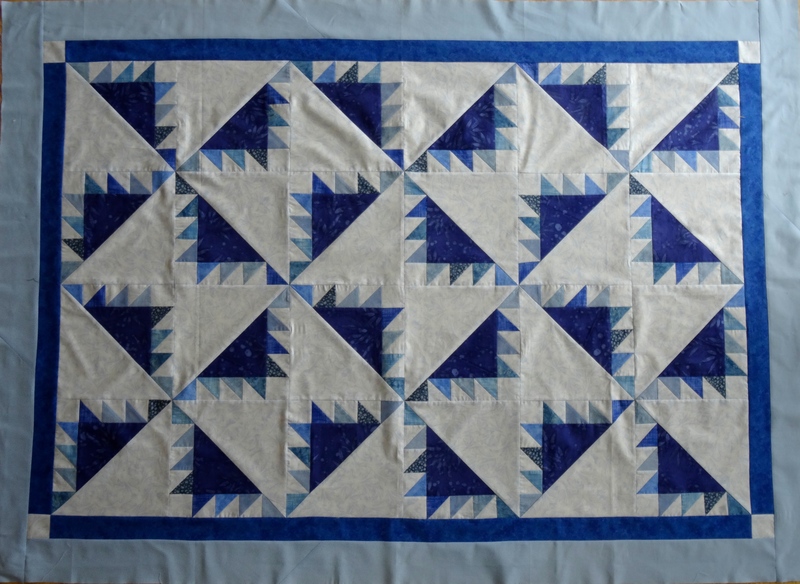 I eventually finished putting the quilt top together about 18 months ago, and, until very recently, it had been languishing in my Cupboard of Unfinished Quilt Tops. 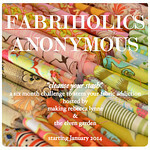 I know exactly why, too – and for once it’s not just a case of laziness and Quilter’s ADD! 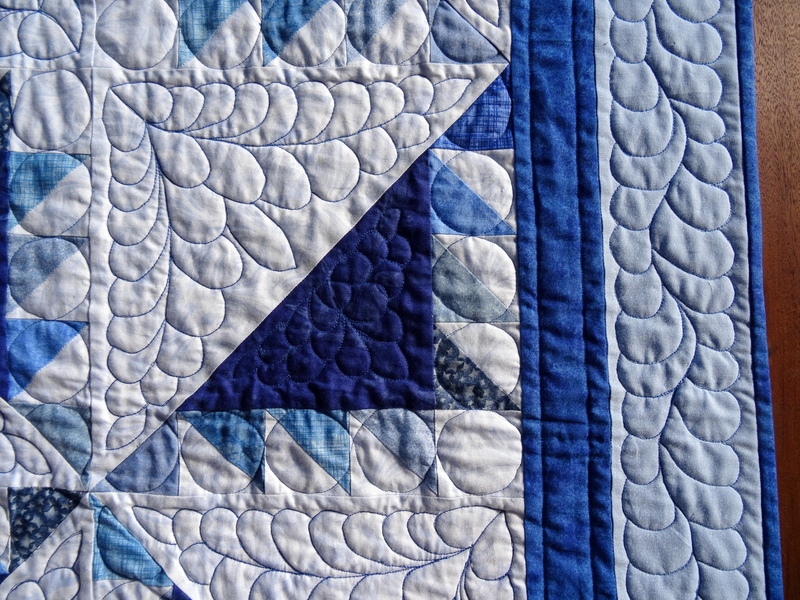 First off, the quilt’s pretty enough, but my tastes have certainly changed over the past 5 years since I started it. 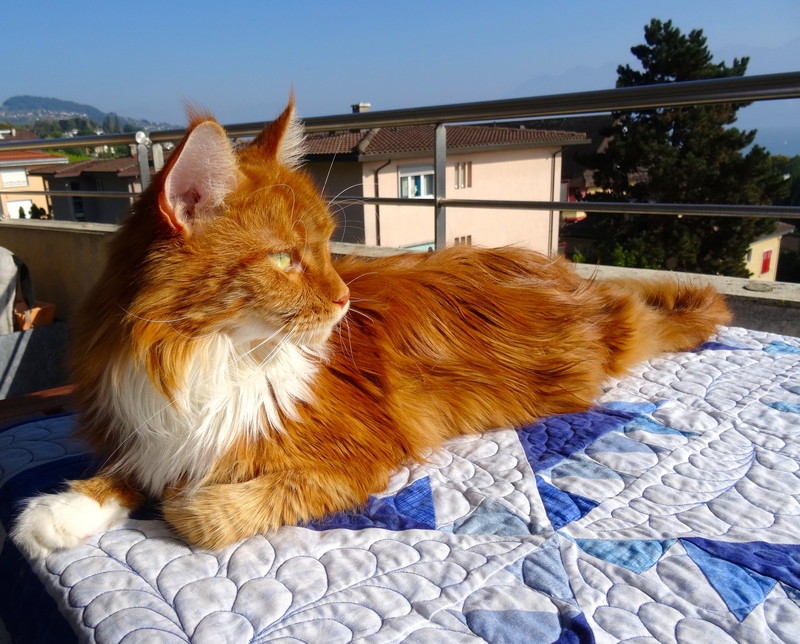 Now I liked this quilt, sure, but I didn’t love it. Looking at it now I find the colours to be a bit ‘meh’, and it’s all rather, well, uninspiring and triangular, really. Secondly, I was totally lacking inspiration about how to quilt the blasted thing. 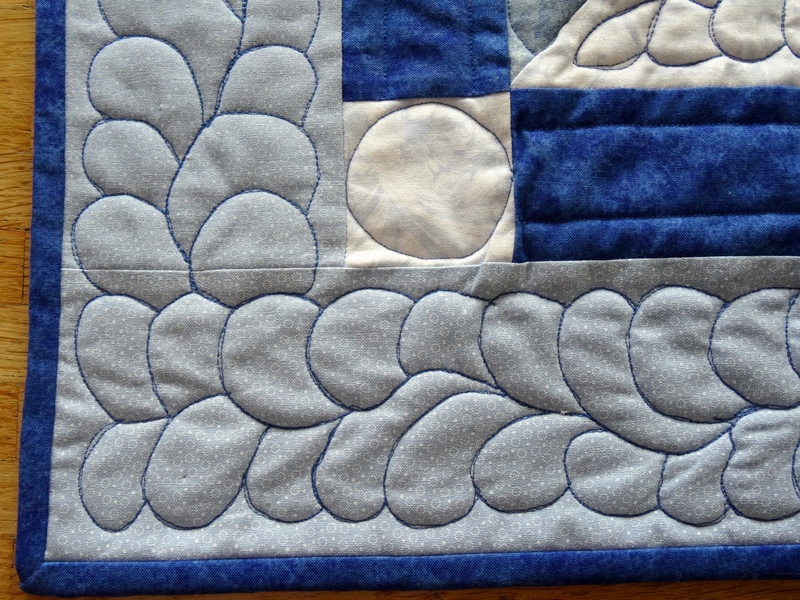 I knew that it needed some carefully-chosen quilting to turn it from somewhat bland into something special, but I didn’t have the first clue about what that quilting should be. And so in the cupboard it went, and in the cupboard it stayed, until I decided to tackle it as part of my Q3 Finish-Along list. Loving all the curves in those feathers! The best thing about doing this was it was so liberating! 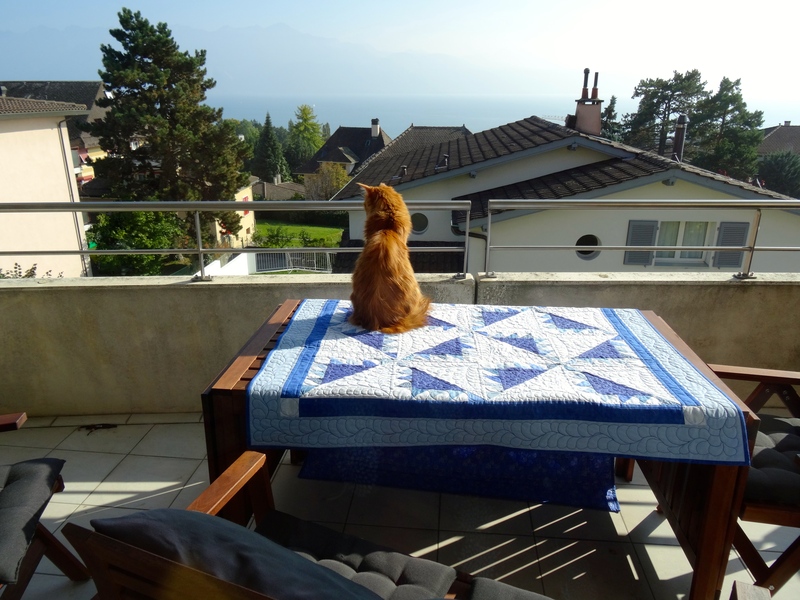 I wasn’t totally in love with the quilt top. It wasn’t intended as a gift, it wasn’t going to break my heart if I totally screwed it up. 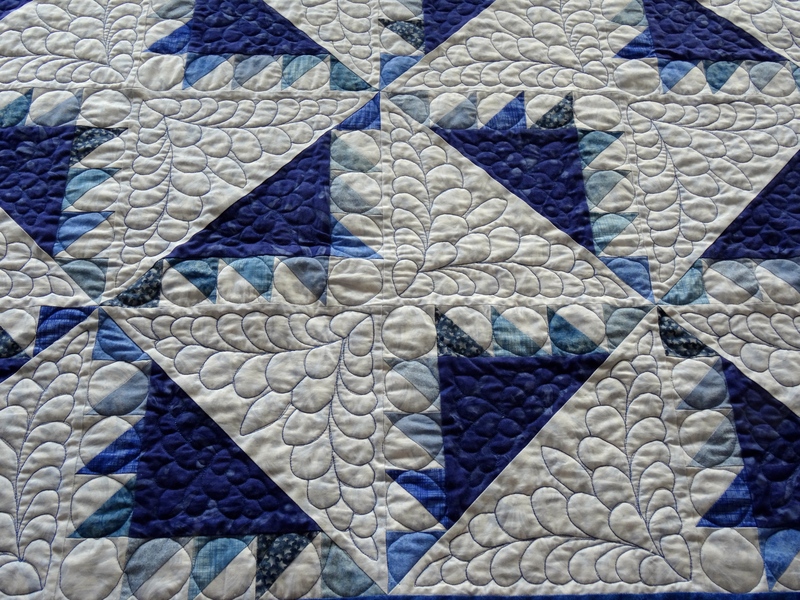 I didn’t let myself get hung up about ‘perfect’ quilting. I was brave and chose a dark colour thread, which would show up prominently against the mainly pale background fabric. I just went with the flow. And do you know what? I actually really like this quilt now! 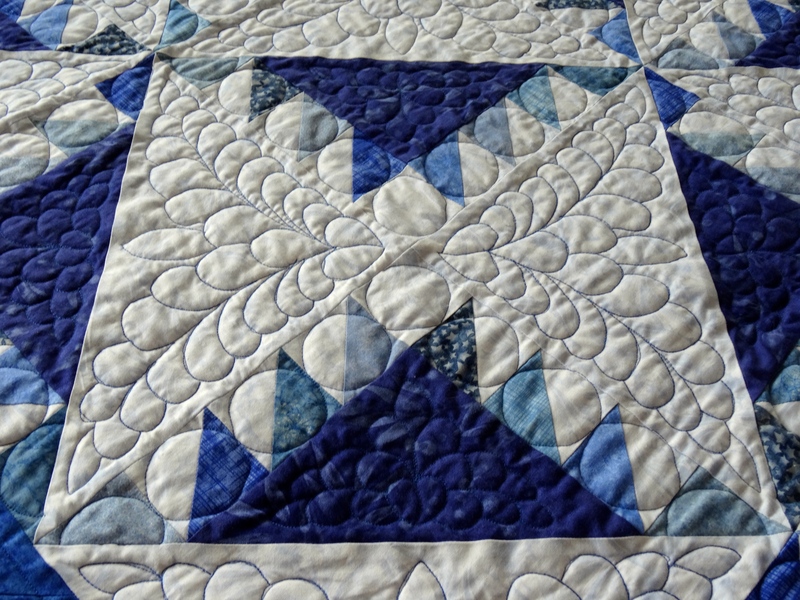 Linking up with Audrey over at Glory Be Quilter for TGIFF – why not pop over and check out some more lovely finishes this week? It is stunning. 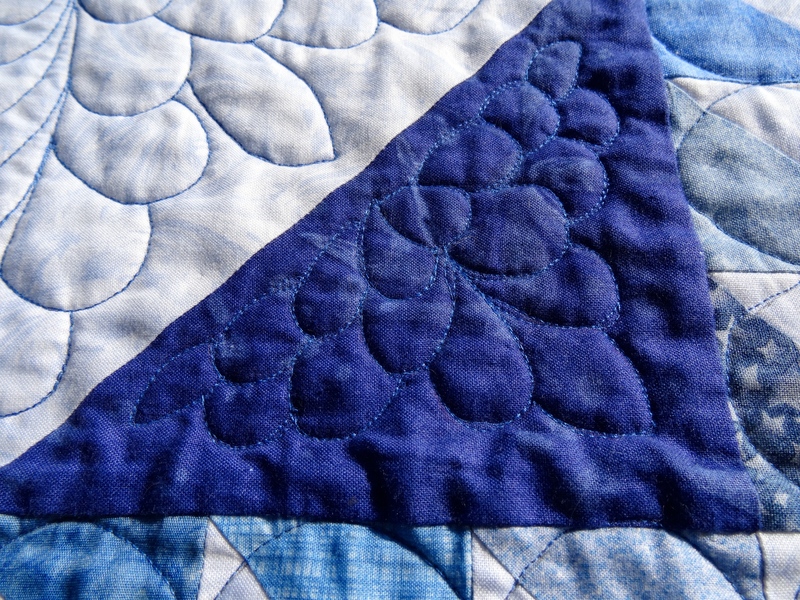 I love how the quilting brings it all together. 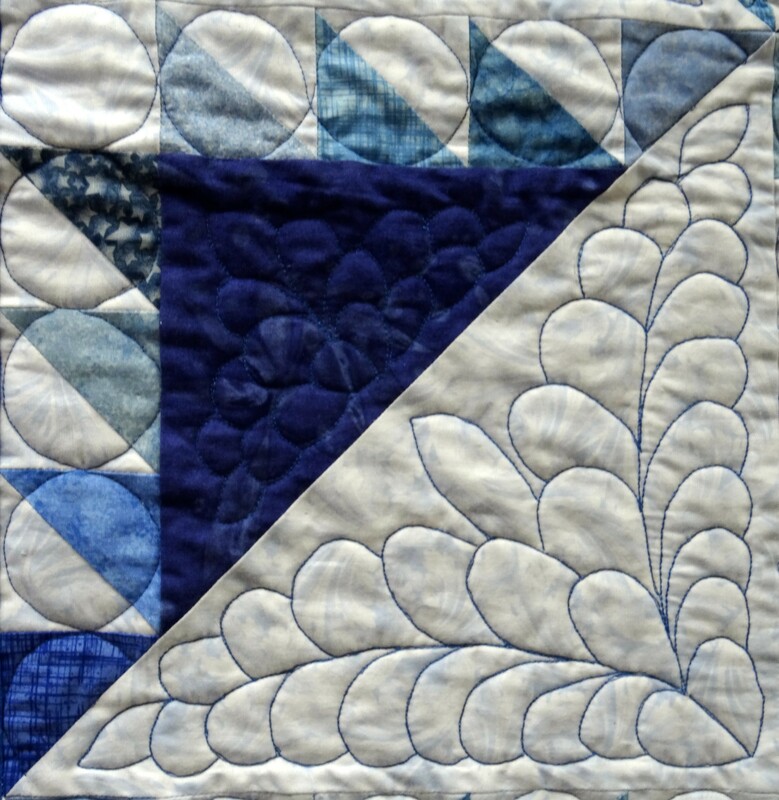 Love your quilting, Lynne! 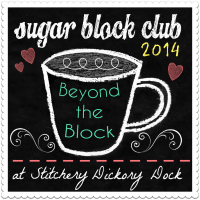 Thanks for sharing at TGIFF Linky Party!